After years of dialogue with the mining industry, impacted communities, and other stakeholders, a certification scheme for responsible mining will soon launch. 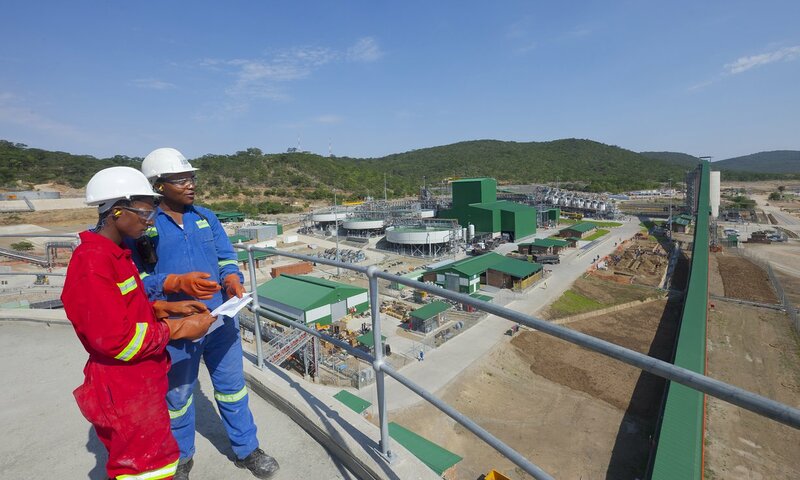 A few weeks ago I had the opportunity to see first-hand the operations of Anglo Americanâ€™s Unki mine in Zimbabwe, site of one of the worldâ€™s richest platinum deposits. The precious metal is not simply ornamental; most of it ends up in vehicle exhaust systems, where it converts toxic emissions into less harmful gases. Platinum is also used to make consumer electronics (such as the phone in your pocket) and medicines, including cancer-fighting drugs. In short: society depends on it. And yet, that does not minimise the fact that we must be responsible, socially and environmentally, in the way we extract and process metals like platinum. I did not visit Zimbabwe to see the product. I went to analyse the process, along with a team of auditors from the Initiative for Responsible Mining Assurance (IRMA). Unki was the second mine field-tested under the draft Standard for Responsible Mining, an effort to certify social and environmental performance at industrial-scale mine sites around the world. After years of dialogue with the mining industry, organised labour, NGOs, impacted communities, and businesses, it was exciting to put the certification scheme through its paces. The Standard for Responsible Mining is intended to define the sustainability standards that leading mining companies should aim for. For example, employees are entitled to a safe, non-hazardous work space. In places like Zimbabwe, where unemployment is high, it is not enough just to create a certain number of jobs; we must be a net benefit to the community overall, improving the economic conditions generally and ensuring mine operations do not harm the local environment. With all this in mind, we immersed ourselves in the Unki experience, learning from those on the ground who understand the issues best. The most critical learning from the field test: while further stakeholder input and refinement is needed in some areas, we are close to a standard that could be implemented by responsible mining companies. The on-site staff provided us with tours into the underground workings, where nearly 1,000 workers descend to depths of up to 300 meters every day. Above ground we visited the processing plant where platinum concentrate is extracted from the ore. We visited the tailings impoundment and considered the critical issues of dam stability, water quality and potential wildlife exposure to mine process waters. We had conversations with mine workers, hearing about health and safety procedures. Along with other representatives of the IRMA, we sat down with the independent auditors during and after the Unki mine inspection. Their overall feedback was very encouraging, and included ways that language in the Standard for Responsible Mining can be clarified. An important learning in the field test is that performance against the Standard can be measured, and applying the standard can result in mines that better serve the interests of all stakeholders. This week the Initiative for Responsible Mining Assurance is publishing the second and final draft of the Standard for Responsible Mining for public comment before it becomes final as a certification program, akin to those available now in the fisheries, agriculture and forestry sectors. While this draft is based on extensive review and feedback from experts and those closest to the issues, we are eager for additional commentary. The comment period ends on 5 June. As a society we are increasingly attuned to where and how we get the things we need. We look to impartial arbiters to assure our clothes, coffee, paper, and other products are sourced responsibly. Soon we will be able to say the same for platinum, iron ore, gold, copper and the other metals and minerals we depend on.